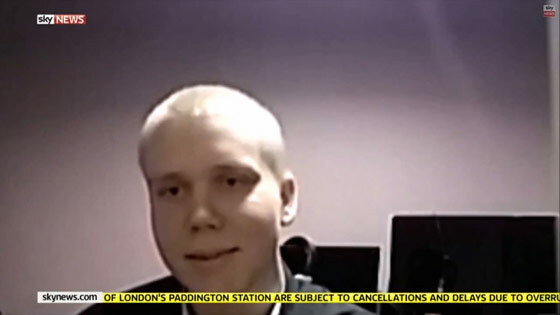 It’s not clear whether it was intentional or not, but a hacker operating for the Lizard Squad hacking group responsible for taking down the Sony Playstation and Microsoft Xbox networks has revealed his face in an interview with Skynews. The man who goes by the name “Ryan” says that it only took three people to incapacitate the gamer networks for the world’s two largest gaming companies. Ryan says that the trio decided to launch devastating Distributed Denial of Service (DDoS) attacks simply to amuse themselves. The group later added via their Twitter page that they wanted to highlight vulnerabilities in networks that collect millions of monthly subscriber fees and choose not to upgrade their security. Yesterday, Kim Dot Com, founder of the MegaUpload file sharing site, offered to pay the Lizard Squad group with 3,000 vouchers valued at around $300,000 USD if they would cease the attacks, an offer that they reportedly accepted. Within 12 hours of that deal being made the attack reportedly stopped. Microsoft Xbox users say that their network status has been restored but many Playstation owners report that their network is still down. This entry was posted on December 29, 2014 by Amir Alwani. It was filed under consciousness, internet, news, science, videos and was tagged with video games.